Renovating your kitchen can be an exciting, yet a sometimes daunting, project. With everything that goes into a renovation, sometimes people forget to simply ask, what is the most important part of a kitchen renovation? We will be exploring this question in this article. After sending out a survey and reviewing the results, we have compiled a list of the most important aspects of a kitchen renovation. We will outline each top renovation option and include ways you can make these modifications during your own kitchen renovation! 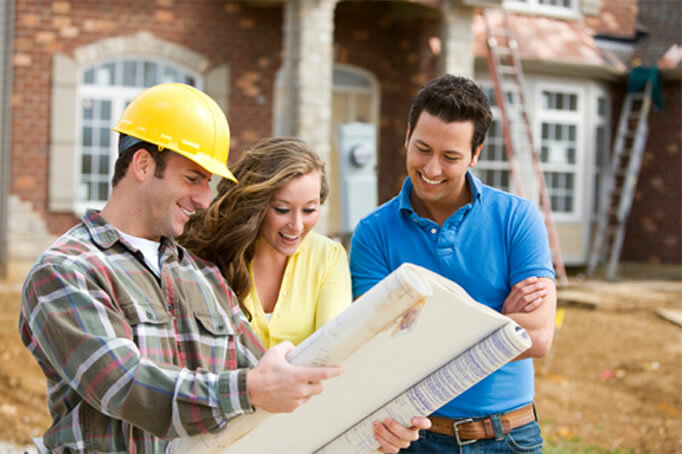 One of the best ways to ensure a successful renovation is by working with an experienced company. Our team of experienced professionals loves to build quality renovations and makes sure to keep clean and out of your way during the process. 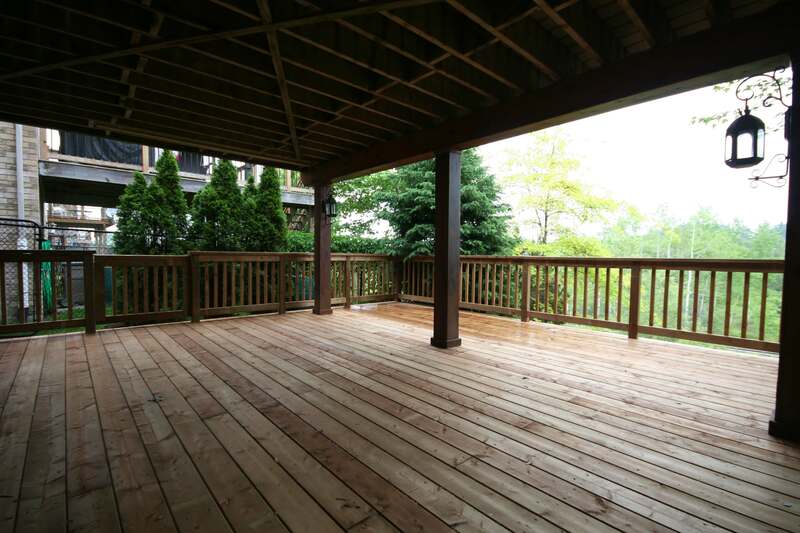 If you would like to learn more or get started on a renovation, contact us today! What Is The Most Important Part Of A Kitchen Renovation? Here we will go over the top five most important parts of a kitchen renovation according to our survey participants! Updating your kitchen can not only add aesthetics to your home, it can also add functionality. The kitchen is the heart of the home, and it should be a place of warmth and community! Though everyone has different preferences and needs, this list will help shed light on some important kitchen renovation aspects as well as provide ideas and inspiration to those interesting in renovating. New window treatments can quickly and easily transform any room, including the kitchen. New window treatments are one the least expensive ways to update and modify your kitchen. 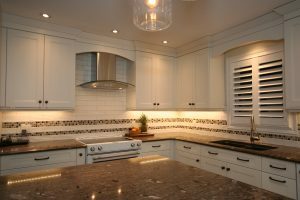 Replacing old, outdated shutters or blinds with new ones can help your kitchen go from looking outdated to in style in seconds. New window treatments can also be a great way to showcase your own unique, personal style. Window treatments aren’t limited to just blinds and shades – it also covers the actual window frame. Old, cracking window frames not only distract from the rest of the room, they may even begin to let heat out of your home! New window frames can help improve the aesthetics of the room and help you save energy. Plan ahead – Know what you want before beginning the project. Do some research, gather pictures, have a basic understanding of the different types of materials and styles. Invest in quality – If you want to ensure your cabinets last, it’s best to invest in attractive, strong, and durable cabinets. Though you may spend a bit more upfront, premium cabinets will last significantly longer and won’t require as many repairs down the road. Don’t go overboard – Having enough space for all your items is great, but it’s best not to go overboard with cabinetry. It may make your kitchen look cluttered and will reduce the amount of space you have for other necessary fixtures. The kitchen is one of the most high-traffic areas of your home. Kids and pets running through, guests and family spending hours and hours chatting and eating – and sometimes spilling – food. Because of that, kitchen floors can take quite a hit. Scratches, stains, knicks, and regular wear-and-tear can leave kitchen floors looking less than ideal. When thinking about new flooring, it’s important to take budget and materials into consideration. Are you tired of tile? Sick of wood? Or do you love your current flooring material and just need an update? Like every other aspect of a kitchen renovation, plan ahead and invest in quality. Adding new flooring can be a bit of a hassle, and it’s better to invest in high-quality flooring now so you won’t have to replace it again in the near future. Adding new appliances can completely update your kitchen. Fridges, stoves, dishwashers, and microwaves are constantly changing in functionality and style. Replacing old appliances is a great way to add modern flair to your kitchen. Newer stoves come with improved function and even safety mechanisms. A brand new fridge can help increase food storage space and help keep food fresher for longer. Adding a dishwasher can help save you time, and replacing an old dishwasher can help ensure your dishes stay sparkling for longer. Appliances can widely vary in price – for example, dishwashers can vary from less than $500 to over $1500. When choosing your new appliances, it’s best to read reviews and have a budget in mind before purchasing anything. Click here to read our comparison guide to bottom-freezer refrigerators! Click here to read our comparison guide to dishwashers! Plan ahead – It’s best to have an agreed-upon plan, especially when it comes to completely changing your kitchen’s layout. Because of the cost and time it may take, you want to know for sure that you’ll be satisfied with the final design! This is not something to just jump into without prior planning. Know your budget – Like all other parts of the renovation project, know your budget! Work with your contractor to find out how much each addition or demolition will cost. This will help you stay on budget and prevent you from feeling overwhelmed by unexpected costs. Prioritize everything – Know ahead of time what you are willing to spend a bit more on and what you won’t budge on. Decide what is most important to you and what is least important to you before beginning the renovation. Sometimes unexpected issues can come up, and it’s important to know beforehand what you are willing to compromise on. Complete Your Kitchen Renovation With DeVrye! 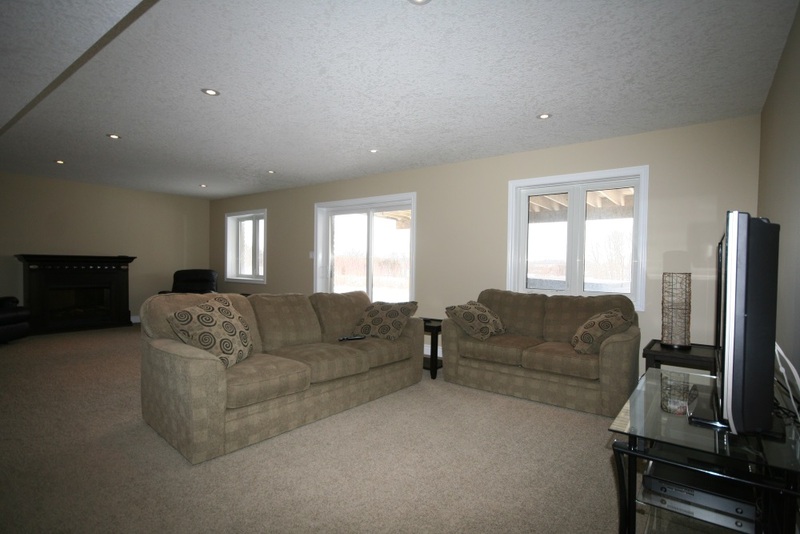 At DeVrye Renovations, we offer quality renovations in the Kitchener-Waterloo region and surrounding area. 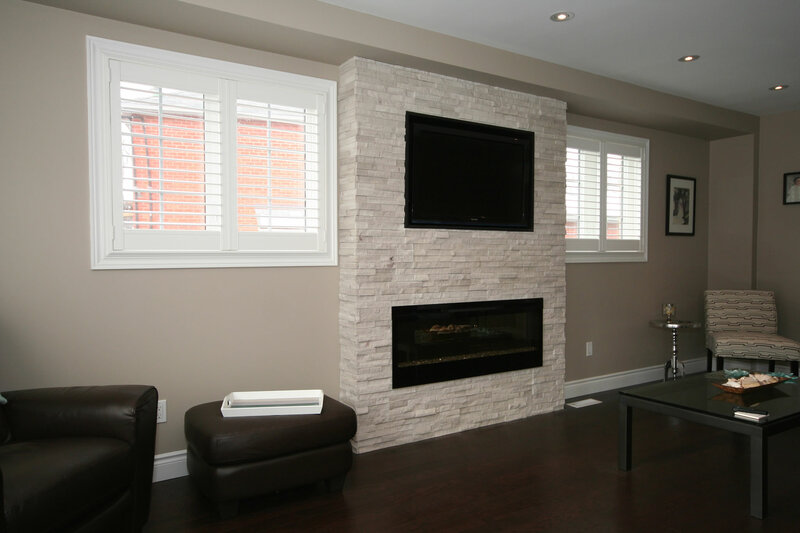 Our team of professional craftsmen is dedicated to providing you with a stress-free, clean renovation. We do our best to stay out of your way while you continue with your daily life. At DeVrye, we will help you plan your dream kitchen – and it starts with a free, in-home consultation! With our expertise, we help to guide you through the options available to you, keeping in mind the existing footprint of your home. If you would like to learn more about us or would like to get started on your own kitchen renovation, contact us now! 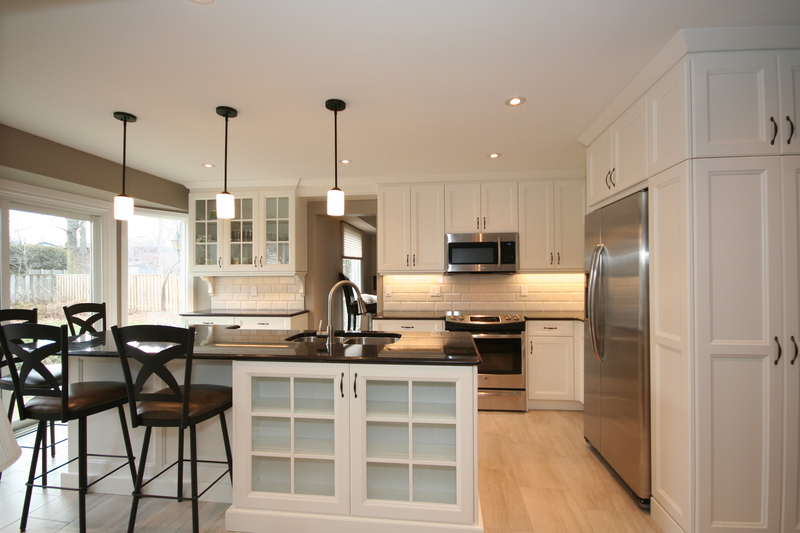 Looking for more information on kitchen renovations?